I'm not sure I have ever felt so conflicted over what to say about a book. 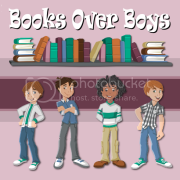 I wanted to love The Raven Boys so much, but it just fell short for me. I didn't hate it, but I didn't love it either. I kept waiting for it to pick up for me and it just didn't until about 70% through, and unfortunately that's a long way into a book. I will say the writing was done very well, which is what kept me going. The concept too of psychics and "treasuring hunting" (I guess you could call it) peeked my interest, but unfortunately the story just lacked what I was looking for. I have to say my two favorite characters were the ones who I think weren't intended to be the front and foremost, and those were Ronan and Noah. Noah was broken, and adorable and funny and my heart just ached for him. Then, Ronan... I love his fierceness, how he's straight up with everyone, and yet he has secrets of his own and I just wanted to know them. With Gansey and Blue, I wanted so much more from them and unfortunately I just didn't get what I was looking for. Finally Adam... Adam was just Adam to me. I felt for him and wanted to hug him and then other times I wanted to kick him. 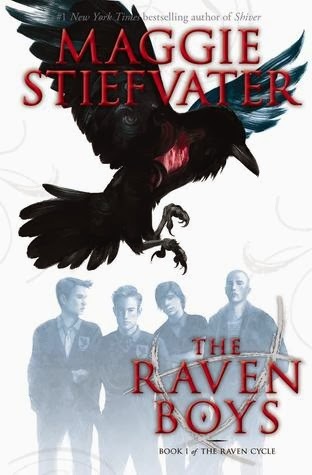 I absolutely loved everything about Maggie Stiefvater's Shiver series, so many people raved (no pun intended) over The Raven Boys, and I admit the synopsis sounded so darn interesting, but the story just didn't do it for me. I just kept hoping it would pick up but it didn't until the very end and even then I found myself slightly confused. Unfortunately, and this is just my opinion, I feel like the story spent too much in a back story then actual action. Please, please remember this is just how *I* felt about the book. It in no way means I think it's a terrible book, because so many people did love it. The story just didn't peek my interest and I always want to be honest in my reviews. With that being said, I'm not sure I'll pick up the second book, but you never know! A few of my friends said the same thing. They liked it - they just weren't wowed by it. I have it sitting on my shelf but haven't gotten to it yet. I heard the second book was better. Thanks for the insight, Karen!! I'm debating on the second one lol. I did like Ronan. I am so glad that I am not the only one that felt this way about this book. I have read SO many amazing reviews from people that were just obsessed with this book, which is the reason I ultimately picked it up. I adored her Shiver series, but this one just fell short for me. I found myself forcing myself to finish it. I felt there was just too much info dumping instead of things actually happening in it too. I was disappointed. I actually picked up The Dream Thieves hoping it would be better, but sadly it sits on my shelf not finished, because I just couldn't do it. :( I really like Noah and Ronan too! !